In this story of his first sixteen years, Robert ­Maiorano tells how a small boy who once wanted to be a ­Brooklyn Dodger became a world-renowned dancer. He Âdescribes the years of hard work, the arduous training, the ­frustrations, triumphs, and disappointments before he was accepted into the New York City Ballet. He details the fast-paced life of his tour with the company in ­Russia, where as a sixteen-year-old he danced for Khrushchev on the eve of the Cuban Missile Crisis. 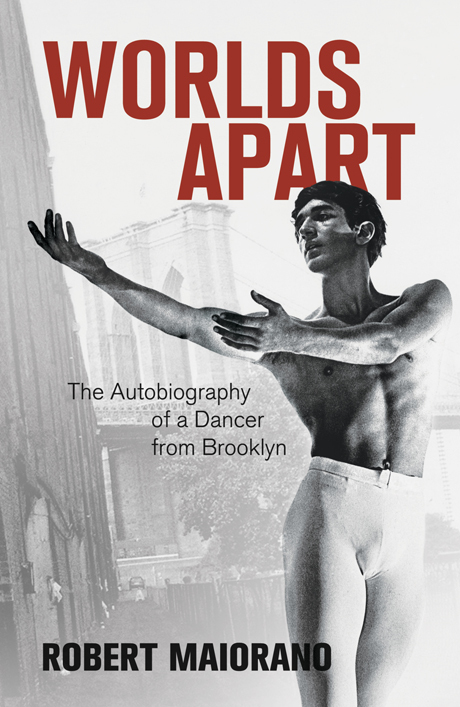 Robert’s story is one of many contrasts — of hope and despair, of love and sorrow, and of the two worlds in which he moved: the ­gang-ridden Brooklyn of the fifties and the brilliant, ­demanding, exciting world of the ballet. Robert Maiorano was a soloist with the New York City Ballet for more than twenty years, where he originated and performed ­leading roles in ballets with nine of the world’s ­premier choreographers, including Balanchine and ­Robbins. He is the author of Mozartiana, The Making of a ­Masterpiece, as well as three ­children’s books. Now ­living in Saratoga Springs, New York, he ­continues to teach, choreograph, and ­lecture. Winner of the American Library Association’s “Best Books for Young Adults,” 1980.